This client wanted to turn her powder room into a private retreat inspired by the shores and textures of her homeland, Cuba. 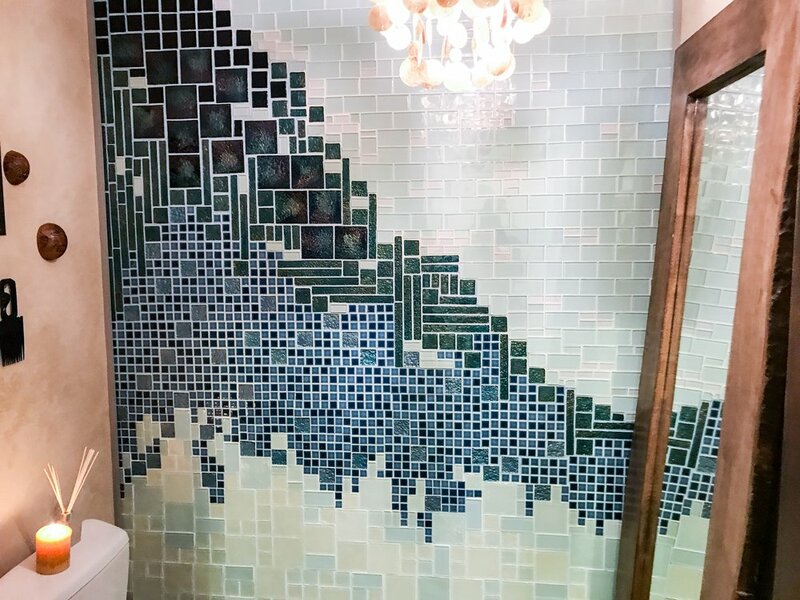 We started with this one of a kind Tile Art Masterpiece. Next up, we gave the rest of the walls a polished Venetian Plaster finish. We complemented it with a custom stone carved sink, cobble inspired flooring, and lots of hand carved cultural details from the mirror to the wall decor. See her full reaction and all the work that went into the space in the photos and videos below.